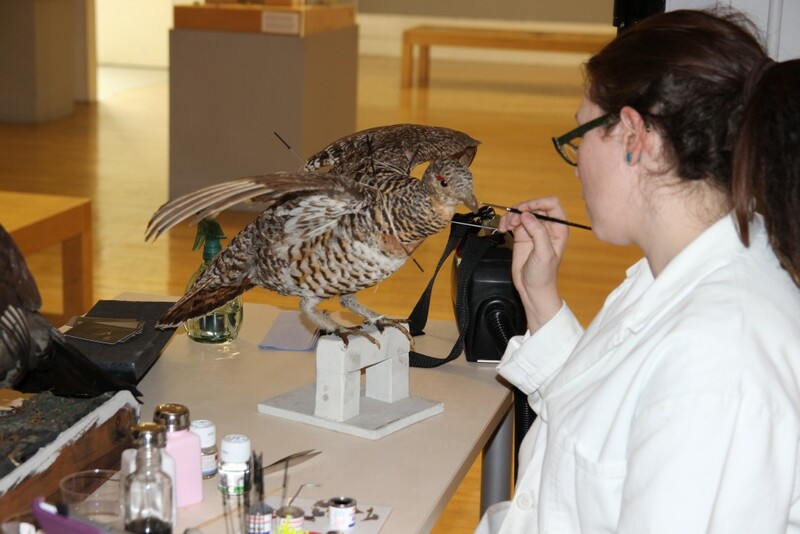 Freelance conservator Lucie Graham working on Gallery Oldham’s Natural History collection. Image Courtesy: Gallery Oldham. Following a successful application for Arts Council England’s (ACE) Museum Resilience Fund, The Museums Association (MA) has announced it is to expand its Transformers initiative. Transformers is the Museums Association’s workforce initiative for people in mid-career, supported by any accredited museum (or museum working towards accreditation), looking to change the way they work. Those who participate are challenged to develop new ways of thinking and supported throughout to engage with experimental ideas, fresh thinking and learning from the experience of experts and innovators. Receiving £407,662 from the Museums Resilience Fund, the MA plan to broaden and diversify the Transformers targeting areas of particular need such as civic museums and smaller regional museums. “We are delighted to have backing from ACE for this ground-breaking scheme that encourages innovation and risk-taking. We are working with partner organisations in Wales, Scotland and Northern Ireland to ensure that museum professionals across the UK are able to benefit from this pioneering scheme. To find out more about Transformers and how you could participate, Click Here.